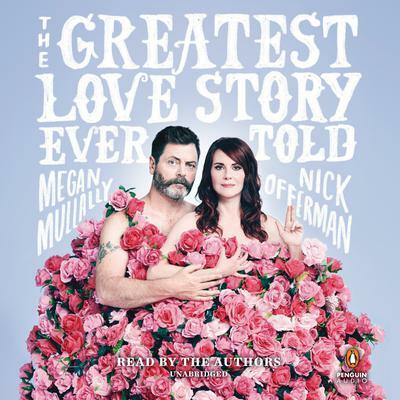 Megan Mullally and Nick Offerman reveal the full story behind their epic romance--presented in a series of intimate conversations between the couple. The year: 2000. The setting: Los Angeles. A gorgeous virtuoso of an actress agreed to star in a random play, and a basement-dwelling scenic carpenter said he would assay a supporting role in the selfsame pageant. At the first rehearsal she surveyed her fellow cast members, determining if any of the men might qualify to provide her with a satisfying fling. Her gaze fell upon the carpenter, and like a bolt of lightning the thought struck her: no dice. Moving on. Yet, unbeknownst to our protagonists, Cupid had merely set down his bow and picked up a rocket launcher . . . that fired a love rocket (not a euphemism). 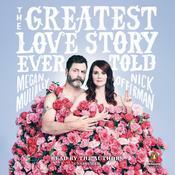 The players were Megan Mullally and Nick Offerman, and the resulting romance, once ignited, was . . . epic. Beyond epic. It resulted in a coupling that has endured to this day; a sizzling, perpetual tryst that has captivated the world with its kindness, athleticism, astonishingly low-brow humor, and true (fire emoji) passion. How did they do it? They came from completely different families, ignored a significant age difference, and were separated by the gulf of several social strata. Megan loved books and art history; Nick loved hammers. But much more than these seemingly unsurpassable obstacles were the values they held in common: respect, decency, the ability to mention genitalia in almost any context, and an abiding obsession with the songs of Tom Waits. Eighteen years later, they're still very much in love and have finally decided to reveal the philosophical mountains they have conquered, the lessons they've learned, and the myriad jigsaw puzzles they've completed. Presented as an oral history in a series of conversations between the couple, the book features anecdotes, hijinks, photos, and a veritable grab bag of tomfoolery. This is not only the intoxicating book that Mullally's and Offerman's fans have been waiting for, it might just hold the solution to the greatest threat facing our modern world: the single life. 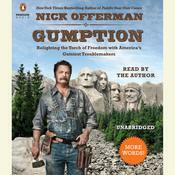 Megan Mullally and Nick Offerman are actors, performers, and comedians. Together, they have appeared in the television shows Will & Grace, Parks & Recreation, and Children’s Hospital, the movies Somebody Up There Likes Me, Kings of Summer, Infinity Baby, and Smashed, and the comedy tour Summer of 69: No Apostrophe. 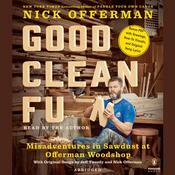 Nick Offerman is an actor, humorist, woodworker, and narrator who has won the prestigious Audie Award for best narration as well as numerous Earphones Awards. He has appeared in the television shows Will & Grace, Parks & Recreation, and Children’s Hospital, the movies Somebody Up There Likes Me, Kings of Summer, Infinity Baby, and Smashed, and the comedy tour Summer of 69: No Apostrophe.